There are a few tricks that architects use to make spaces appear bigger – and you can use them too. Here are some of the most popular hacks, according to interior designer Kirsten Day. "Hey, wouldn't it be cool if you modelled and 3D printed your apartment to figure out where all the furniture will go?" A tongue-in-cheek question from a coworker turned out to be one of the greatest nerd snipes I have ever fallen victim to. Not every problem in your home requires a big project to fix it. Some things are just little annoyances, but it's the little things that you forget over and over. 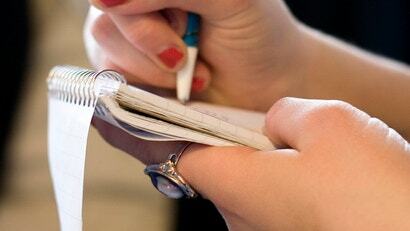 If you keep a journal of what annoys you about your home, it will help you remember to actually fix it. Video: Even if you have a huge kitchen you still have to make the most of the space you have. 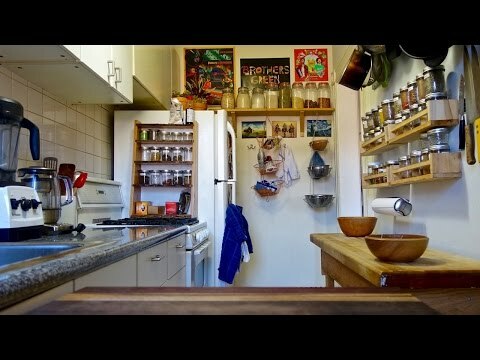 This video, from Brothers Green Eats, is full of ways to fit everything you need to cook into a tiny space -- even one as small as their tiny galley-style kitchen. 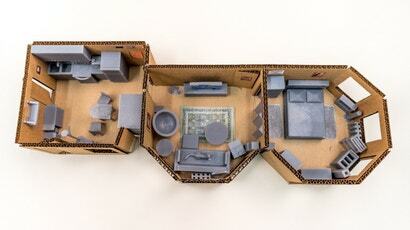 Most apartment floorplans aren't optimal; there's almost always some small area of wasted space. Maybe it's the spot underneath your stairs. Or an oddly shaped living room. 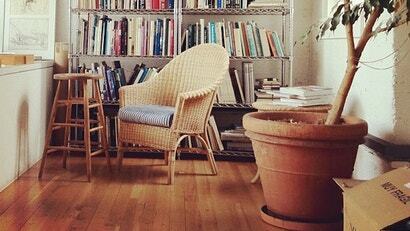 If you have space that seems wasted, get more out of it by turning it into a reading nook. 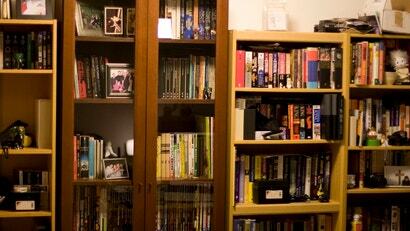 A messy, overcrowded bookcase can be distracting and look bad in the nicest of rooms. With a few photos, you can get a new perspective on your bookcase and class it up without sacrificing its utility. There's a lot of work that goes into laying out a beautiful home. Art can help jazz up the place, but the last thing you want is a nice print that clashes with your room's colour theme. 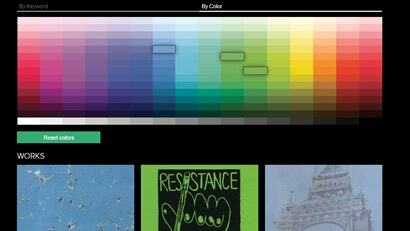 ColorSearch can help. When you have people over at your place, it's nice if everyone has a place to sit that isn't the floor. This basic home design rule of thumb will help you figure out how many comfortable seats you should aim for having in your living room. You don't need to put your home up for sale before you decide make it look a bit nicer. A fresh coat of paint in a few rooms, some DIY furniture projects, and a little decoration can make all the difference. 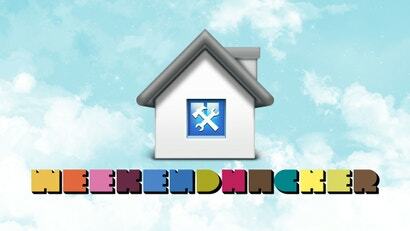 Set aside some time this weekend to make your home look a little more awesome.